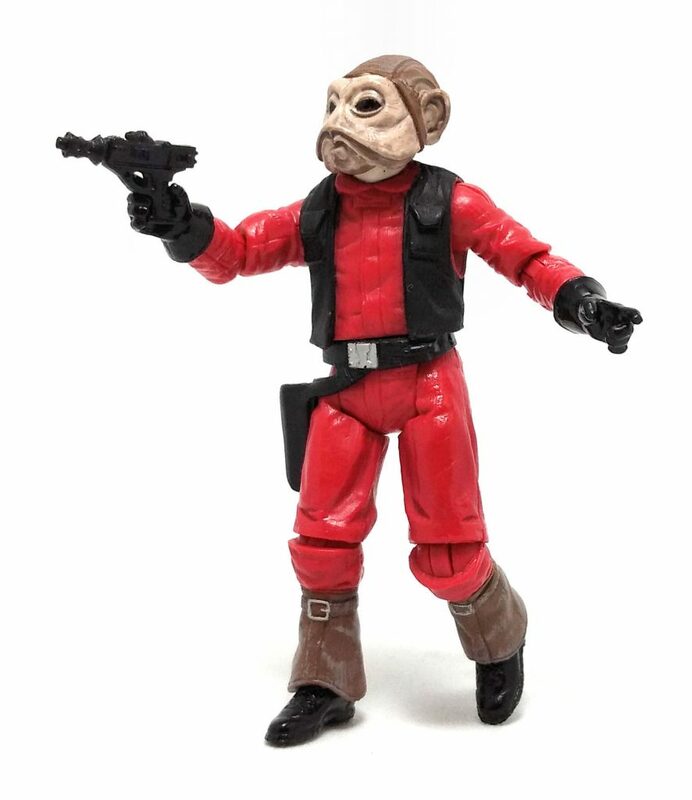 A long time ago (but not that far, far away), Hasbro released a super articulated Nien Nunb action figure in the fourth wave of red-carded Star Wars Legacy Collection series and even though it is an excellent action figure by it’s own merit, it was not the version I really wanted for my collection. You’ll see, that one version of the Sullustan pilot was attired with a full B-Wing pilot uniform, while the version I remember from the movie and the vintage Kenner days wore a stripped down version of the flight suit complemented with one of the utility vests Solo seems to have lying around on board the Millennium Falcon. It was not until the very end of The Vintage Collection that Hasbro produced the version I wanted of this character, which I got rather recently. 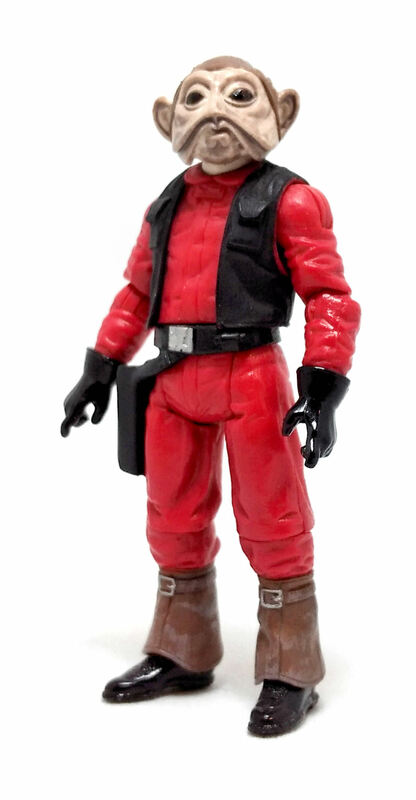 TVC Nien Nunb seems to be wearing the same jumpsuit he had as a B-Wing pilot, including the spats and gloves, but this is actually a completely new sculpt from head to toe. 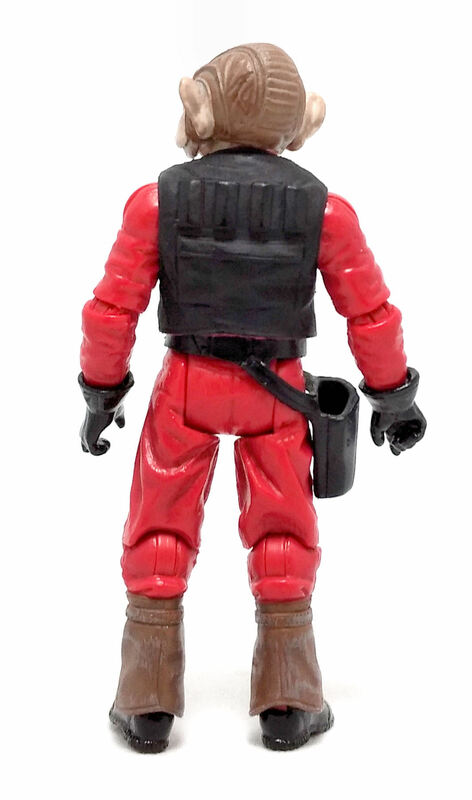 While the vest is sculpted directly onto the torso of the figure, this time around Nien has a functional holster hanging from his side. While the overall body proportions are consistent within this figure, the Nien Nunb is oddly smaller than I would have expected. For some reason, the wave this figure belongs to have some scaling issues, since at least a couple newly sculpted characters in it are noticeably shorter in stature compared to previous waves. 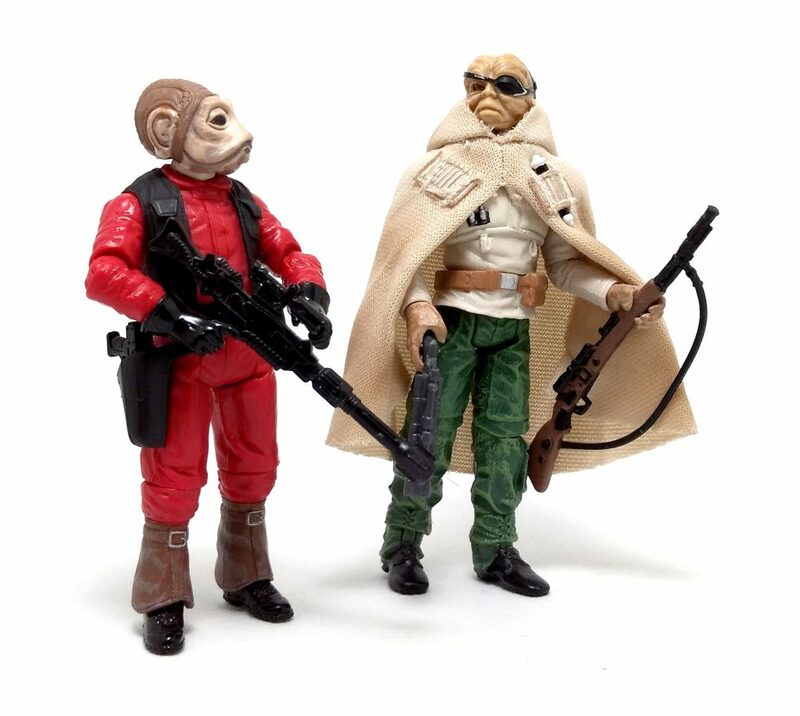 This does not seem to affect Nien Nunb too much, as one could assume he is actually that short and the other Sullustan from the Star Wars lines are simply tall. • Pin & disc elbows. All of the articulation points perform as promised, unhindered by the character design. One thing to note, though, is that the gloved hands tend to pop out with relative ease, but they go back right in; also the holster may get in the way of placing Nien inside the cockpit of some reduced space vehicles. The paintjob on Nien Nunb is very sparse, as most pieces are molded in the final plastic color, but you can notice gloss black applications on shoes and gloves, with the earthy colored spats and matte black vest. However, this time around the face paint is not quite as good, in my humble opinion. Previous Sullustans have a ruddier skin tone with a clearly differentiated lower face area, but this time around Hasbro kept to a grayish skin color and relied upon a sloppily applied wash to darken the recesses on the face, which makes the paintjob look incomplete. 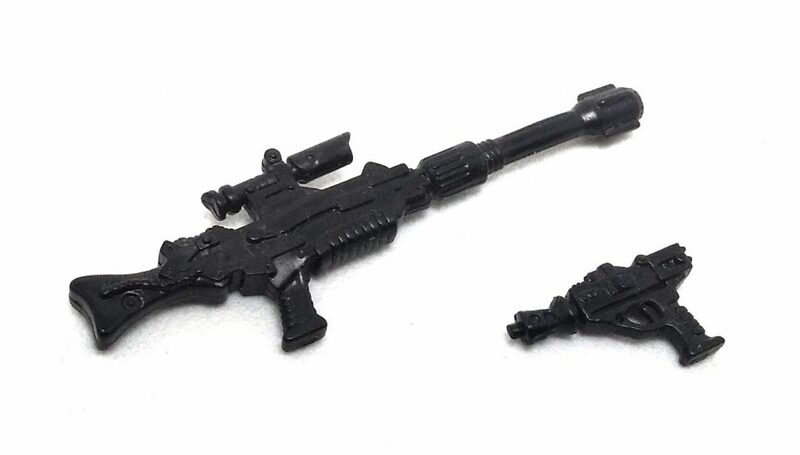 As far as accessories, Hasbro pays homage with their selection to both the vintage Kenner figure as well as the POTF2 release, because Nien comes with an updated Kenner blaster pistol as well as a large rifle similar to the one included with the POTF2 figure. Both weapons are made from flexible black plastic, and even though their grips are somewhat thick for the figures hands, they can be held more or less firmly. 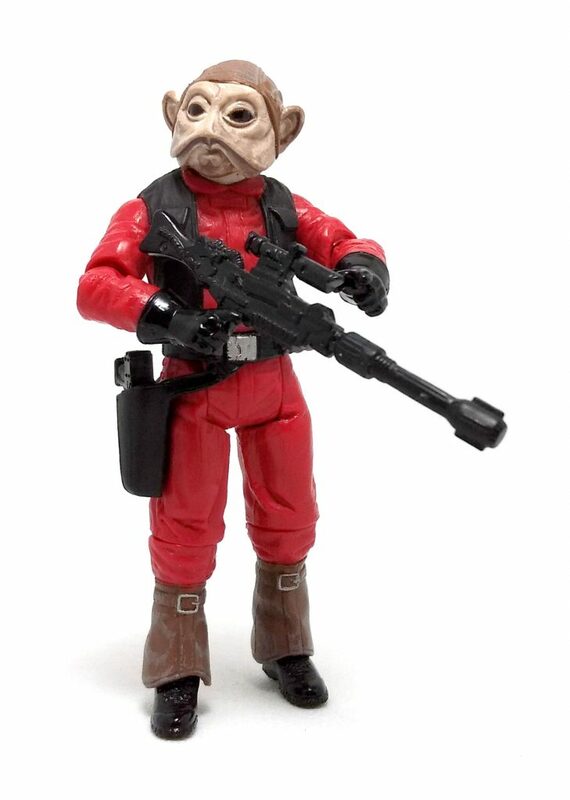 Overall, I am quite satisfied with this version of Nien Nunb. Sure, the face paint is not what I had in mind when I ordered the figure, but it is a minor nit to pick on for me, because ever since I got the real Vintage Kenner figure, Nien Nunb has been as iconic an alien character for me as any from the Original Trilogy, and this version is a definite must have in my book.